This past week has been an absolute whirlwind – between running 17+ miles for my half marathon training, I picked up another yoga class to teach on Sunday, booked my flights for March (Florida & NYC!!! ), had a long-overdue christmas party at my apt with my family, tried flotation therapy, and became a wine & cheese expert. Don’t worry, I got some sleep in there! 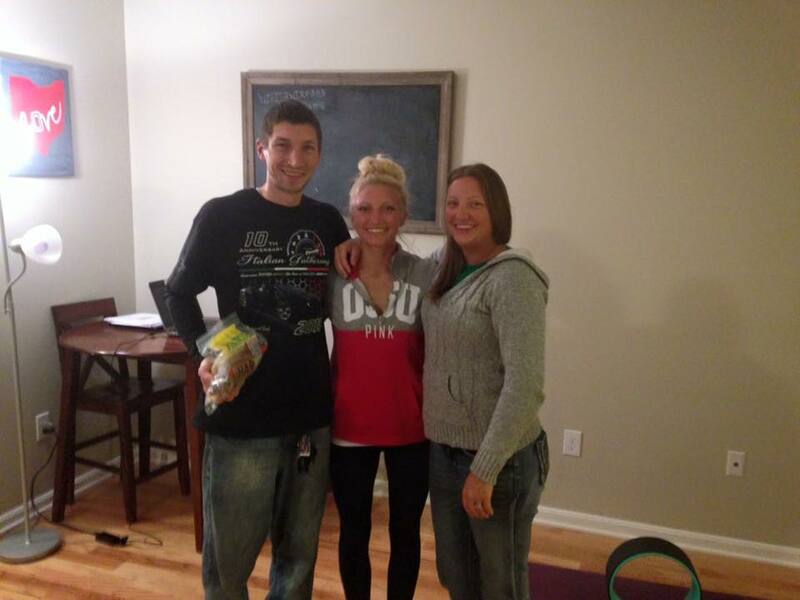 First off – Family came over to celebrate a late Christmas since my Sister and her husband were in town. Insert: pizza, lots of wine, more wine, presents, drunk baking and opening presents! It’s always fun when my mom and all of my siblings get together – we are all goofballs. 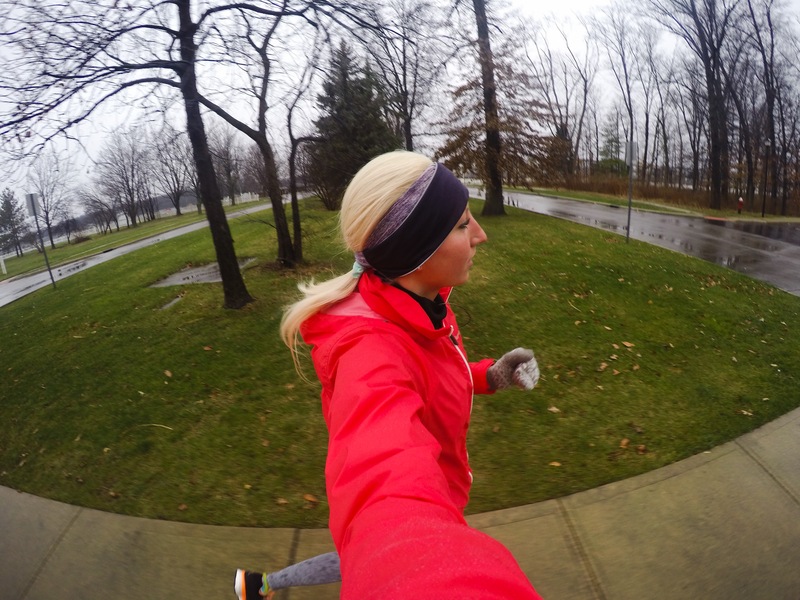 Early Afternoon run in the rain! After my run, I went home and showered before heading to Whole Foods with my cousin. 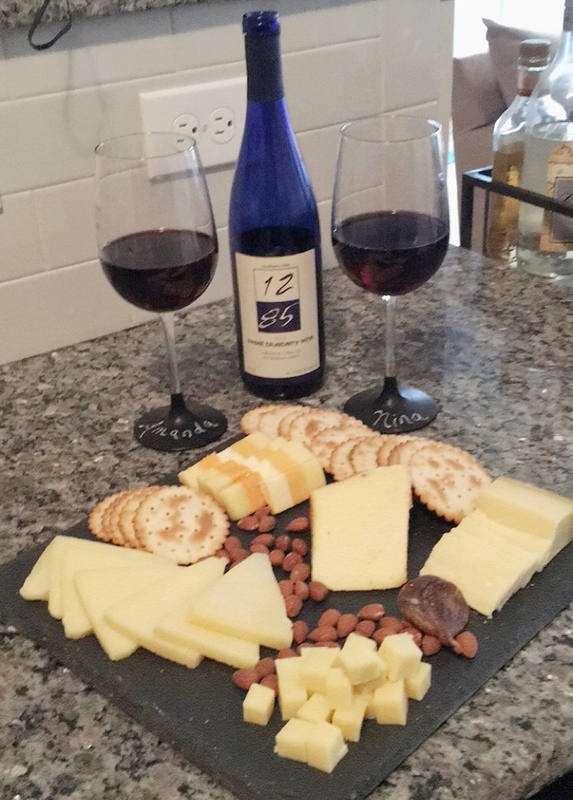 She had some amazing blueberry wine, and we decided to build a cheese board and make an afternoon out of it! 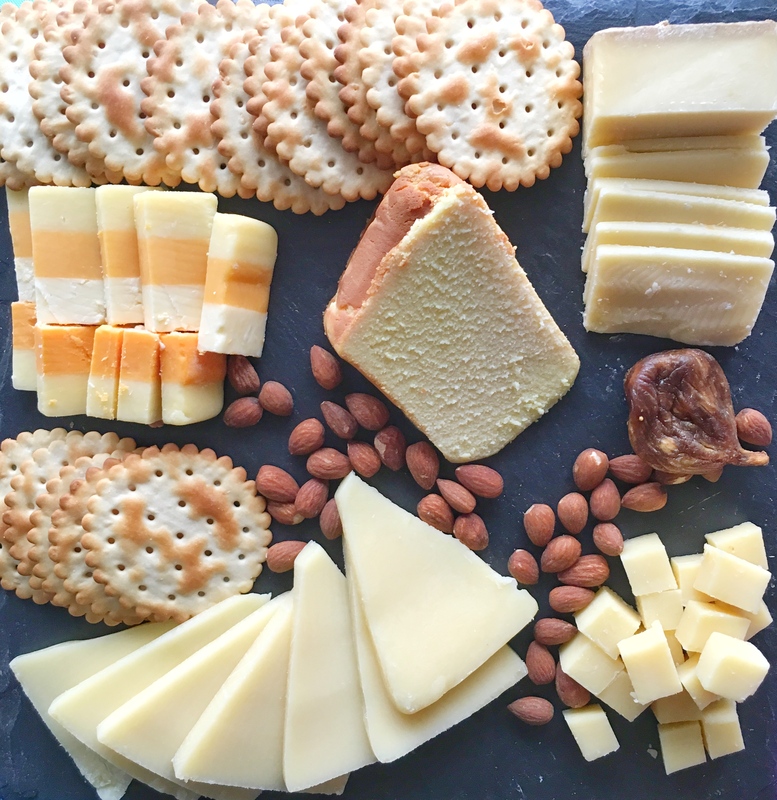 After chatting with the Whole Foods cheese dept, we bought a bunch of different cheeses and curated an amazing cheese board to go with the wine – I was in a food coma for basically the rest of the night! Yes, that is all amazing cheese-that slice in the middle that looks like cake? Yep -baked lemon ricotta cheese that is literally life changing. 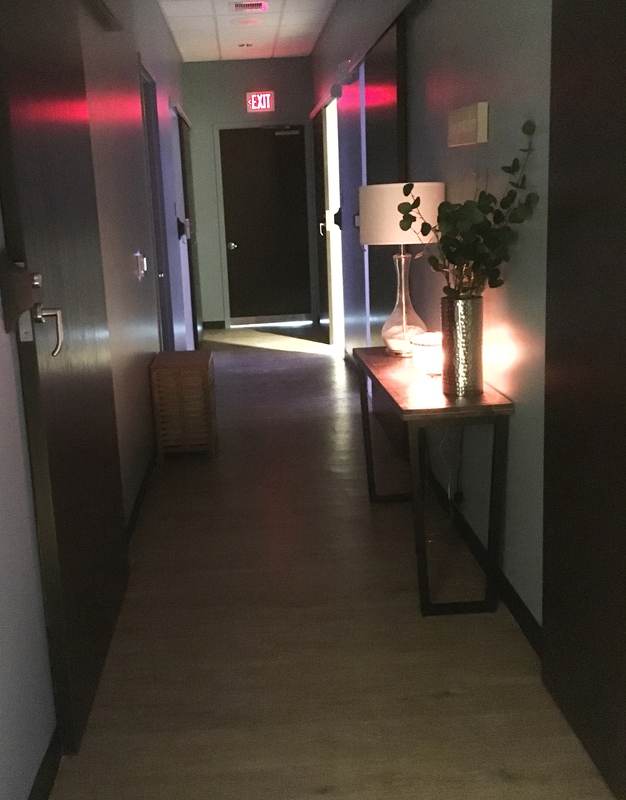 After my second class, I rushed over to try Flotation Therapy – which is basically floating in a salt-water filled tank in complete darkness & silence for an hour. I know what you are thinking… WHY?! For a few reasons – It’s a form of meditation, for one. It’s great for relaxation & reducing stress, and increases healing time for any type of injury (seriously wish I knew about this post-ACL surgery! )… I also bought a groupon, which means it was half the cost of a normal session. You can read more about the benefits here. Post-Float area with hair dryers, lotion, etc. You need to arrive 30 minutes before the appointment to sign a waiver, watch a short video, then are given a tour of the treatment area. After showering, you put in ear plugs and enter the tank. It’s a really weird feeling, because you are literally floating on water without being held up by anything (in 10 inches of water). BTW – that pod is actually HUGE in person – There was room for 2-3 of me! 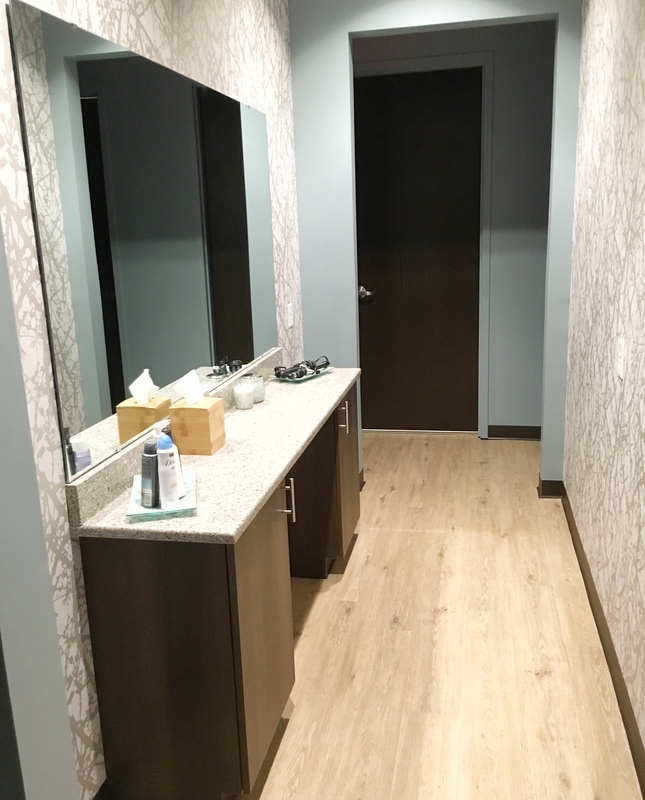 After my 1-hour session, I felt a little off-kilter once I stepped out of the pod to shower – kind of like stepping off of an elevator, but it lasted for 5-10 minutes. After that, I felt fine and relaxed. Followed up with 15 minutes of oxygen therapy & tea, I felt like I could nap for hours! It’s actually pretty pricey – $80/session – or $300 for 3-6 months, or something like that. I kind of wish groupon offered a package deal of 3-6 sessions, as you are supposed to notice the difference after 3+ floats. I am going to see how I feel in the next few days, and MAYBE go again (If I win the lottery and have a ton of extra money to spend on floating in salt water ;)). So that’s been my past week – this week, I need to begin packing for my weekend in San Francisco! Packing for 2 days of nothing but yoga workshops at the Yoga Journal Event, plus 3+ days to explore the city. So what’s everyone else been up to? What’s your favorite cheese/wine pairing? And have you ever tried flotation therapy? It’s not even 8am and that cheese plate is making my stomach growl…that “cake looking” cheese sounds SO good. That one was from WF? I’ve gotta look for it. We’re having Christmas with my family (sister, her fiance, and my nephew) this weekend finally. 🙂 AND celebrating my sister’s birthday that was on the 3rd! LOL. 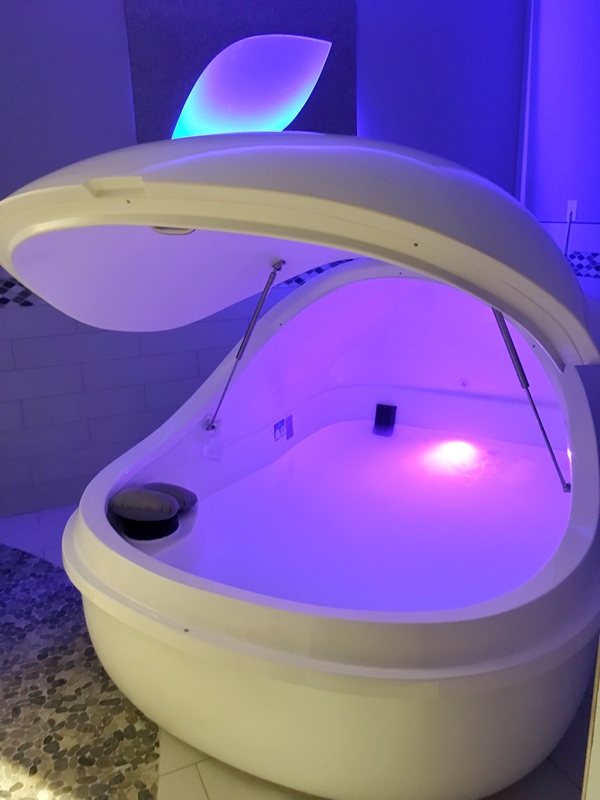 I was JUST reading about and researching those flotation therapy pods a couple weeks ago! I sent it to Phil b/c it looked like something that could maybe help him, but I never looked on Groupon for sessions! It’s expensive without some kind of discount! yes, baked lemon ricotta cheese… it really is like eating cake! Ask next time you go to WF… it’s like $7/slice, but totally worth it 🙂 I love that christmas is celebrated in January! It’s always fun to hang out with relatives you don’t get to see that often, and even bonus when presents are involved! If there isn’t a groupon or living social for the pod, keep your eyes peeled, I know they have them every once in a while! Or maybe just call and ask if there is a deal for first timers without a groupon! The rates if you do it monthly are WAY cheaper, too. Definitely worth looking into!